Hailing from California’s Bay Area it’s fitting that Loma Prieta took its name from the earthquake that devastated the area in 1989. Over the course of its decade together the band has transcended genre tags and found ways to strike in ways that are unexpectedly punishing. On October 2 Deathwish Inc.—the label owned by Converge’s Jacob Bannon—will release the band’s fifth album, Self Portrait, which was recorded by Jack Shirley (Deafheaven, Jeff Rosenstock) and shows the band at its most destructively refined yet. The A.V. 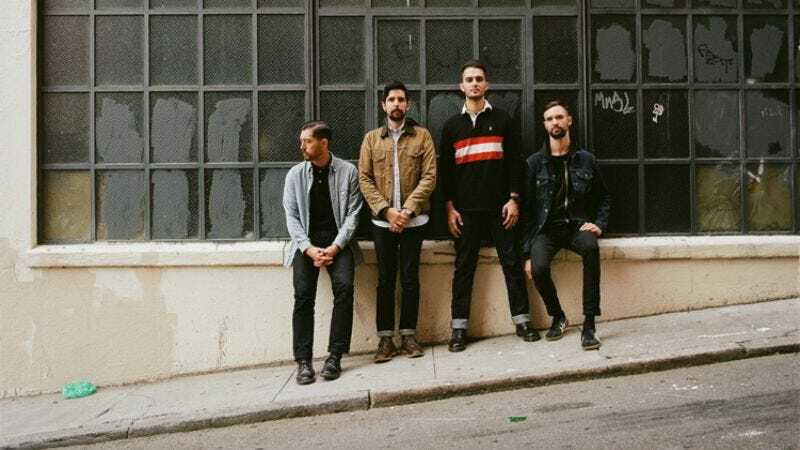 Club is premiering “Never Remember” below, which sees Loma Prieta carve bonafide hooks out of its cacophony of swirling guitars and side-swiping cymbal cracks. Pre-orders for Self Portrait are available now in Deathwish’s store, though the vinyl version won’t be coming until November 13.